Yet another digital painting. 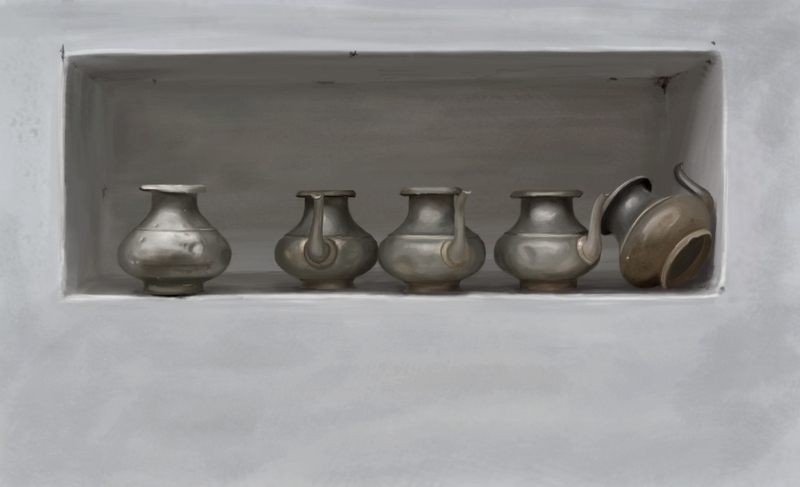 I have been wanting to paint metallic surfaces, to study lighting. After looking for images for quite some time, I still couldn't decide which one to choose. I finally came across this blog, of artist Gregory Thielker. I found a photograph of water pitchers that he had clicked at a place called Bhadwas, near Etah, Uttar Pradesh, India. I immediately felt like making a digital painting of it. So here it is. GIMP, Wacom, about 45 hours.